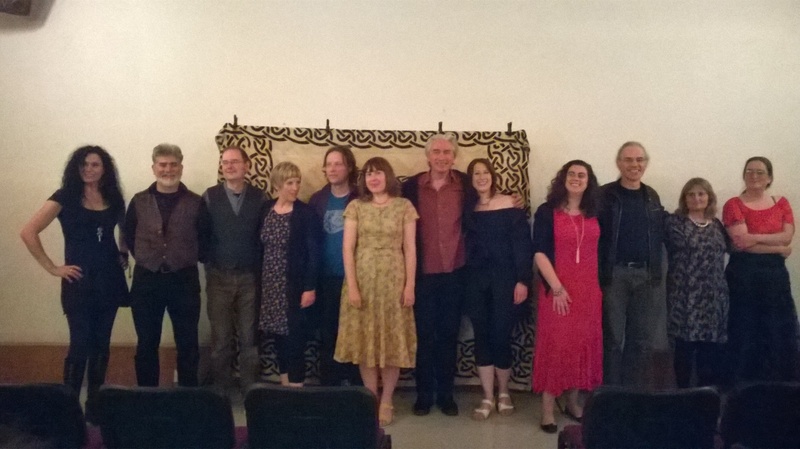 Storyteller and writer Kevan Manwaring speaks about his passion for the collection of regional folk tales, and how this work has led to the writing of his recent folktale-inspired novel and a project on the modern re-telling of traditional British ballads. For the last few years I have been feverishly delving the enticing snickets and hollow-ways of folklore in search of obscure treasures. Those ever-green-lanes have always been part of my life since I first began straying down them as a child – literally, in the fortuitous convergence of an Iron Age hillfort, a Roman villa, a Saxon church, and a Clunaic nunnery that was my neck of the woods in Northampton. I’ve long since decamped to the West Country, where I have been delving its psychogeography since the mid-Nineties. Myths, legends, folk tales … narratives of place and spirit of place have informed my poetry, fiction and non-fiction ever since, in books such as my first novel The Long Woman (Awen 2004), ‘a love letter to the English landscape’ which features many of my favourite places – Avebury, Glastonbury, the Ridgeway, the Long Man of Wilmington, Carnac… In my non-fiction (Lost Islands, Heart of Albion Press, 2008) and poetry (Lost Border, Chrysalis, 2015), I have blended folklore, history, topical issues and vivid, visceral experience into words. But since 2010 I have been working more directly with the loam of folklore. In my two volumes of folk tales for The History Press – Oxfordshire Folk Tales (2011) and Northamptonshire Folk Tales (2013) – I travelled both counties (familiar to me from a lifetime of crisscrossing on two feet or two wheels), searching for obscure folk tales and, when those were lacking, folklore to stitch into tales. These are part of the publisher’s nationwide series of county-based folk tale collections, collected and retold by practising storytellers. Since 2000 I have been a professional storyteller, performing solo and with others (Fire Springs; Brighid’s Flame), so I drew upon my repertoire and experience in these collections. The remit was to give them an ‘oral’ flavour – while avoiding a verbatim transcript of a performance. They had to work on the page, as well as orally/aurally. The collecting involved rifling through local studies sections in libraries and bookshops, visiting museums, galleries and heritage sites, talking to locals, following my nose, getting lost and stumbling upon things. This field research always threw up the ‘telling detail’ that no amount of book or web-based research could uncover. Walking the locale of a folk tale is an important way of imbibing sensory detail, layering language to landscape, fixing the geography, and creating a ‘memory map’, one that would be invaluable when performing the story to an audience. In this way, you start to ‘inhabit’ the tale, and this enables muscle-memory to take over as you embody the physicality of the story-scape – translating its peaks and troughs, hollows and hillsides, woods and water into something metaphorical. To ensure the collected folk tale ‘worked’, I would perform it in front of an audience (at a story circle, a dinner party, a gig) before committing it to the page. However, the final test for me was to take the story back to the place that inspired it and perform it in situ, as a way of testing its ‘resonance’, and also to show gratitude to the spirit of place – to reciprocate. How precisely this worked I didn’t fathom – it just felt right to do so. When the books were published, I performed various sets (combining highlights of both counties into a show, The Snake and the Rose, performed with my partner, folksinger Chantelle Smith) in diverse locations, often stirring recollections of further scraps of folklore from the audience. Thus, through ripple and counter-ripple, the conversation continues. The experience of collecting folk tales got me interested in Cecil Sharp, who, along with his fellow researcher Maud Karpeles, scoured the Southern Appalachians between 1916-18 looking for ‘English folk songs’, as Sharp deemed them (many were in fact Scottish and Irish too). They followed in the footsteps of their American counterpart Olive Dame Campbell who first stumbled upon ‘love songs’ (the Appalachian term for ballads), and many other collectors followed after them. However problematic the methodologies, theories, and legacies of these collectors (who when all’s said and done left us with a fantastic archive of songs and tunes) the element in this process that thrilled me was the notion that ancient songs from the British Isles ended up in Southern Appalachia (and elsewhere) preserved in early forms, or mutated in interesting ways. These were the byproduct of diasporic translocation – the waves of emigrants who risked the Atlantic crossing, influenced by the push/pull of Highland and Lowland Clearances, the Potato Famine; the need for cheap, governable labour (Whitehead, 2016); and the promise of a New World where freedom from feudal serfdom, starvation, conflict and religious persecution (possibly) awaited. I became fascinated by the cross-fertilisation of song- and tale-cultures and decided to undertake a PhD at the University of Leicester researching the process, and dramatising it in a novel form – the result is my novel, The Knowing: A Fantasy (Goldendark, 2017). It focuses on the life of Janey McEttrick, a (fictional) Scottish-American musician living near Asheville, North Carolina. She is descended from a long line of gifted, troubled women, and is the culmination of the actual historical process mentioned above. When one day she receives a mysterious journal from a Scottish ancestor, (the Reverend Robert Kirk, a 17th Century Episcopalian minister, and author of the monograph, The Secret Commonwealth of Elves, Fauns and Fairies), she is forced to act as uncanny forces assail her and her loved ones – travelling to Scotland to lay to rest her restless ancestor, who, according to legend, stepped into a fairy ring near his parish of Aberfoyle in the Trossachs. It was believed at least until the 1940s (when folklorist Katharine Briggs recorded a local) that a living descendant could free Kirk, who was a prisoner in Elfhame yet. This tantalising notion got me imagining – what if the ‘living blood’ happened to live in Appalachia… ? In The Knowing I had real fun setting my (very) contemporary character against the ancient and uncanny, combining through her experience the historical and the folkloric, the Old and New Worlds, and the magical and the mundane (or as Nathaniel Hawthorne termed it, the ‘Actual and the Imaginary’). Emerging out of my extensive research into ballads last year I was inspired to put together an anthology of what I called ‘Ballad Tales’– modern retellings of traditional British ballads – for The History Press. I gathered together 20 talented contributors (writers, storytellers, musicians and a brilliant cover artist, the printmaker Andy Kinnear ) and gave them carte blanche. As long as it was ballad-based, they could choose the material and how to interpret it. The result is a wonderfully eclectic mix of responses – from those that go ‘with’ the grain of the traditional material (e.g. in terms of setting at least) to those that wildly went against it (by relocating the action in time and place, re-allocating gender roles, and genre-rules). In Ballad Tales we have retellings of well-known ballads (e.g. Tam Lin; Thomas the Rhymer) and less well-known examples. The launch will be celebrated by a rolling showcase of song, story, and reading, starting in Stroud (9 June 2017). In such events it feels like the process has gone full circle – and we restore to the oral tradition what we have ‘taken’ from it, adding something in the process. 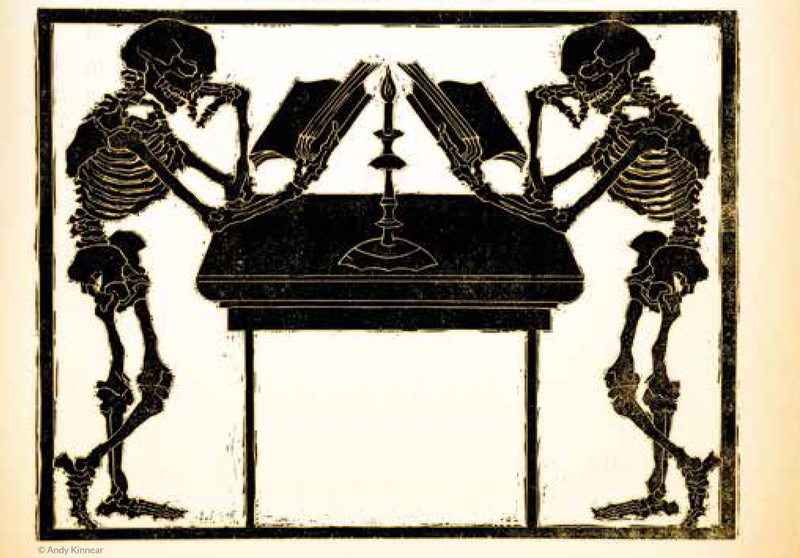 In many ways, that process continues in the imagination of audience member or reader. It may inspire people to seek out the sources, the places, and other performers and authorities – or to go folklore hunting themselves. Be warned: it’s addictive! 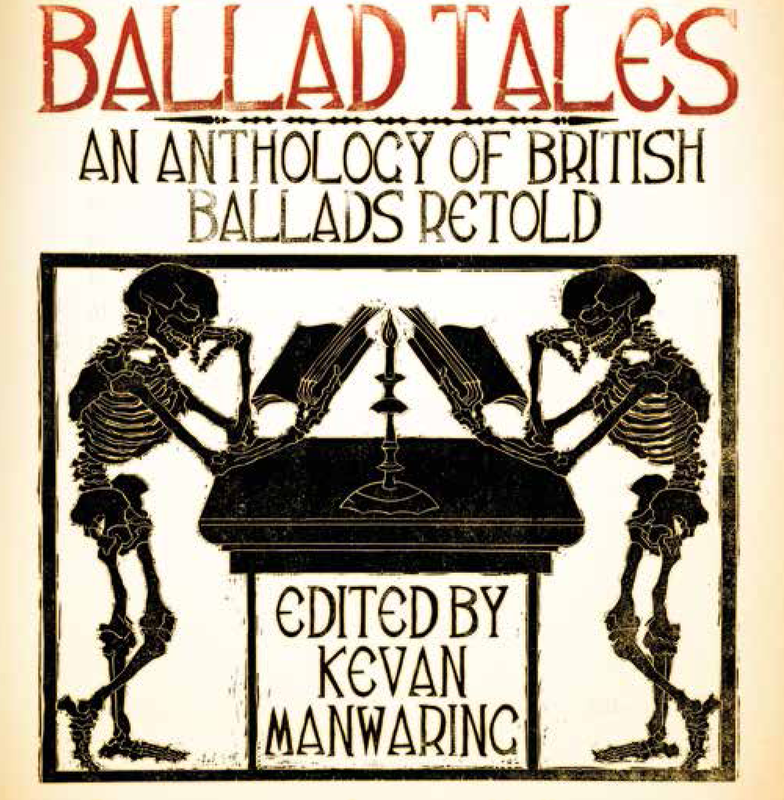 The lovely Kevan Manwaring has offered a copy of his excellent book of British ballad tales from The History Press for a lucky #FolkloreThursday newsletter subscriber this month! ‘A BALLAD is a poem or a song that tells a popular story and many traditional British ballads contain fascinating stories – tales of love and jealousy, murder and mystery, the supernatural and the historical. This anthology brings together nineteen original retellings in short story form, written by some of the country’s most accomplished storytellers, singers and wordsmiths. Here you will find tales of cross-dressing heroines, lusty pirates, vengeful fairy queens, mobsters and monsters, mermaids and starmen – stories that dance with the form and flavour of these narrative folk songs in daring and delightful ways. Sign up for the #FolkloreThursday newsletter to enter (valid August 2017; UK & ROI only). Kevan Manwaring is a writer and storyteller. He lives in Stroud, Gloucestershire when not walking in other worlds. He blogs and tweets as the Bardic Academic. 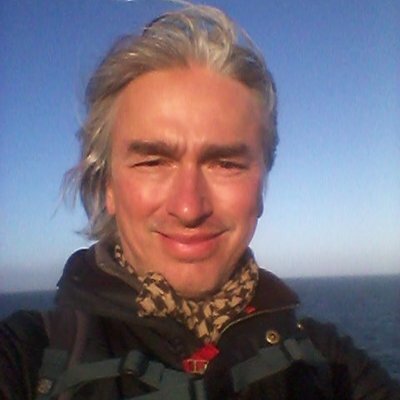 Follow Kevan on Twitter here or visit his website.